One of the most important aspects of the transmission is the fluid that is put into it. The transmission has often been noted as the heart of the car, while the fluid is the blood. Every type of transmission fluid is crafted to ensure robustness and longevity. It is highly recommended to have a transmission fluid change performed on your vehicle every 30,000 miles. Transmission flush cost usually varies from vehicle to vehicle in the range of $80 to $300. Fluid quality is also the key to a smooth running transmission. 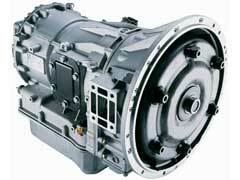 One such transmission fluid is Allison transmission fluid. Allison transmission fluid offers a longevity that many other transmission fluids do not have, with their scientifically tested formula and patented technology. There are varying types of Allison transmission fluid that may be of value in your transmission fluid adventure. When considering getting a transmission fluid flush, an oil analysis should be done to determine the life expectancy of the transmission fluid currently operating in your car. Many cheap used transmissions will have transmission fluid that has a short life, while newer transmissions have fluid that is designed to carry the car for long periods of time. Allison transmission fluids are created to certain vehicle specifications such as the TES 295, which is marketed under several different brand names such as Autran, Emgard and Bulldog Synthetic. Other types of transmission fluid that carry the Allison logo are TES 439 fluids, TES 468 approved fluids and TranSynd RD for Off Highway. Each of these particular offerings has unique Allison transmission fluid characteristics for your transmission cooler and overall engine experience. Allison even has kits that can be purchased for a nominal price that will analyze the condition of the fluid in your automobile currently and determine the best possible new transmission fluid that will flow better through your vehicle’s heart.